Booking agent Ruth Sallee having acquainted the band to a parade of bookings, the most prominent rewarding being Military Installations and although not licensed to book uniformed establishments outside of Oklahoma, she nurtured a list of contacts with many in west Texas and encouraged the exemplary musicians to explore the opportunity. It was late afternoon, the 1961 39 horsepower Triumph Herald Sedan was traversing south towards Dallas, seated beside Gary in the small arrayed transport was Glenn Froman. The two musicians having decided to initiate their pursuit of booking appropriation in Dallas before striking westward. It wasn’t the best of decisions to drive the Triumph on this prolonged expedition, especially without air conditioning considering the early summer temperatures in Texas, but the economics of the four cylinders was a factor. The Dallas city limits finding the two struggling with the city map, attempting to locate prospective opportunity facilities. Completing their prospectus with a final stop before heading west, happening on a familiar group performing, the Night Beats. A visit with the members of the band confirming what the two had ascertained, unlike Oklahoma City, the night-club circuit was closed to engaging diverse nightly entertainment, preferring to employ a steady house band. The Dallas initiative proving interesting but uneventful. The two musicians realized they were in trouble when they passed the same Dallas landmark for the second time, finally deciphering the meaning of the word loop when posted on a highway sign. The late hour entertaining a discussion about lodging for the night, the two already having exit Fort Worth on highway 108, bound towards Abilene. 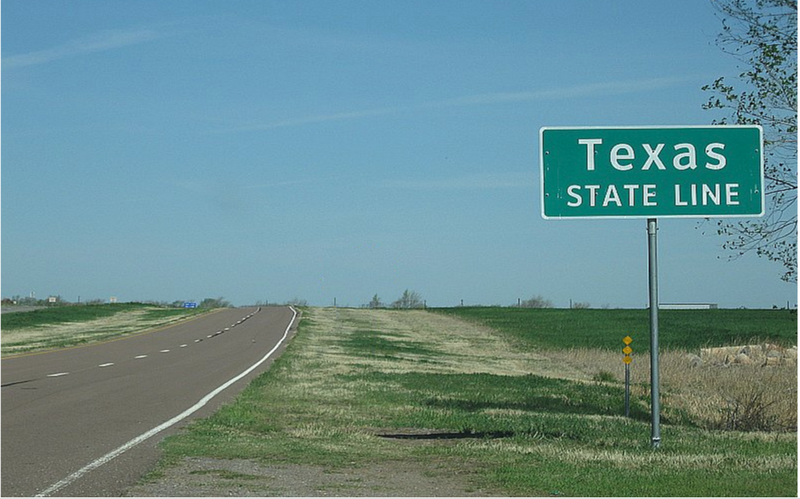 Gary suggesting they stop at the first available accommodation considering it would be another 2 1/2 hours before reaching Abilene having no desire to prosper after 3:00 a.m. in the morning. A short time later coming upon what appeared to be a closed roadside cafe, service station and a row of small individual cabins. They noticed the illuminated presence of a sign in one of the cabins designating an office. The facility wasn’t a motel, but resembled the cabins portrayed from the grapes of wrath era, the ringing of a door bell arousing a not to happy man. Inside their one one-room edifice were two inner-spring mattress beds resting on an uneven wooden floor and an adjoining bathroom with a wall fastened sink and toilet. The weary travelers retiring, calling it a night, but no sooner had Gary dozed off their was a sound and room began to shake similar to an earthquake, the startled two sitting up in beds. It was a deja vu moment for Gary, suddenly remembering a “I Love Lucy” episode where the Ricardo’s and Mertz’s stayed at a motel and every time a train passed, the furniture would shake and move about. True to the television series, every time a 18 wheeler on the highway would pass the room and beds would shake, the two musicians didn’t repose well that night. 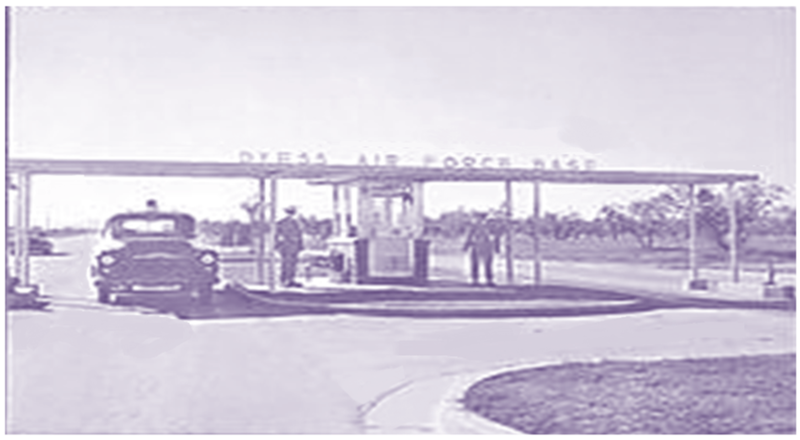 A late start finding the two once again proceeding to Abilene and an introduction to Dyess Air Force Base. On arrival the MP’s at the main gate directing the musicians to office of the Post Information Office who in turn explained the Service, NCO, and Officers Club managers booked their entertainment. The afternoon meeting with the respective managers was successful with three-days of bookings, Thursday at the Service Club, Friday the NCO and Saturday the Officers Club. The engagements would commence in three weeks and if satisfactory could repeat again in the upcoming months. 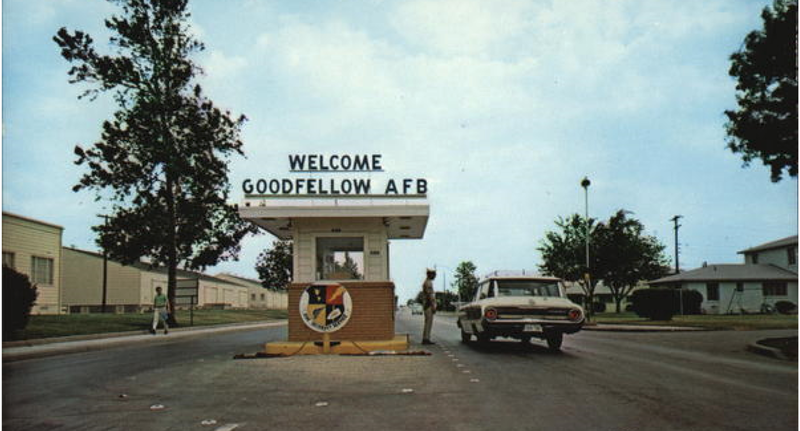 Their first assignment accomplished, San Angelo and Goodfellow Air Force Base, a two-hour southwest journey the next objective. An hour southwest of Abilene on 277, the afternoon attaining lateness, the sun dipping lower on horizon casting shadows on the rising rolling mesquite covered hills. The two musicians both noticing some sort of small dark patches blanketing the highway ahead, Gary immediately slowing the car almost to a halt. Before them was the most unbelievable sight he or Glenn had ever come upon. 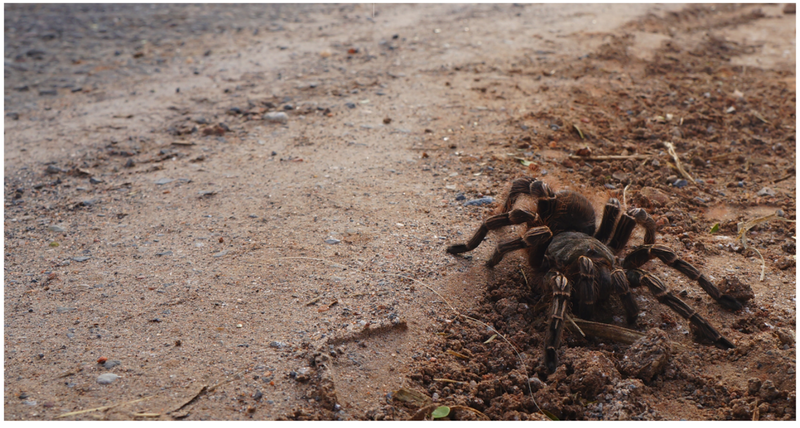 Traversing the road were hundred of the largest tarantula spiders the two have ever seen, their size encompassing over six inches in diameter if not larger, the arachnids were not scurrying in all directions, but were focused on their goal all traveling in the same direction across the roadway. Gary finally stopping the car to give testimony to this incredible event, regretting not entertaining a camera to document this once in a lifetime experience. 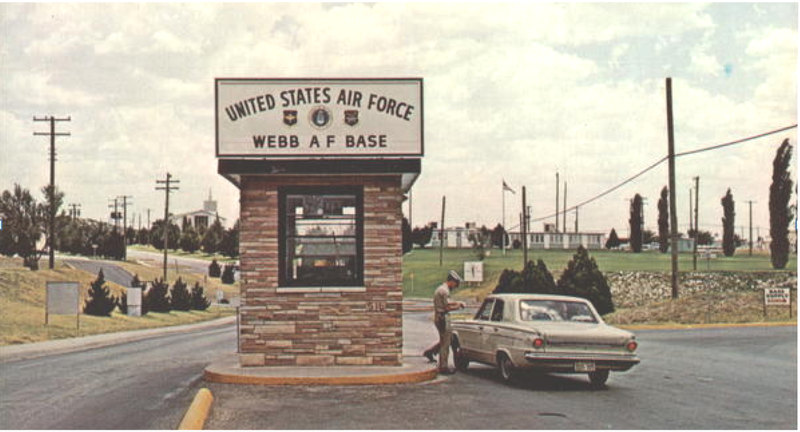 A good nights rest in San Angelo, the morning discovering another booking success anointing the two at the Base and upon conclusion it was 100 miles northwest to Big Springs and the opportunity of Webb Air Force Base. The booking at Webb presented a problem, a Thursday at the Service Club and a Friday night at the NCO Club was available, but the Officers Club was previously booked for Saturday Nights. 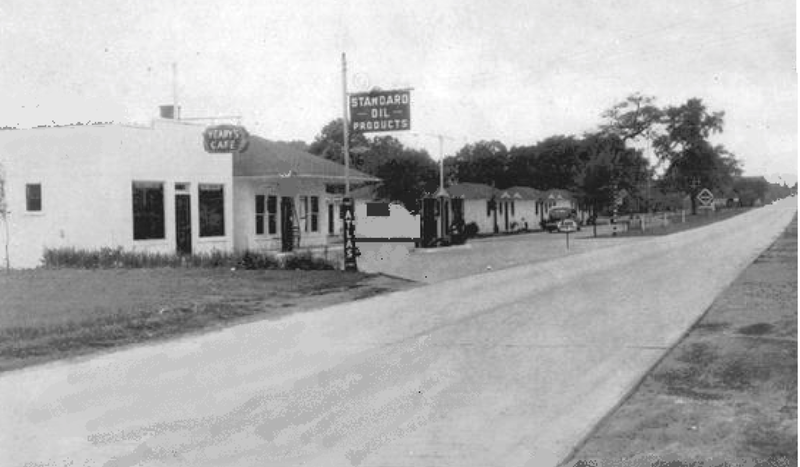 The NCO club manager suggesting they might be accorded in Midland, a booming oil town thirty minutes from Big Springs, the NCO also mentioning the Whiskey-A-Go-Go at the Midland Country Club. The Midland Country Club was luxurious beyond imagination, upon entering the foyer of the large complex you were greeted with a decorative lighted large rock pond, only instead of the usual gold-fish this rock pond enclosure was host to small alligators. The Whiskey-A-Go-Go Club was encompassed on the second floor, the entrance hewed with glass walls. The two inquiring and directed to the country club managers office of this Pavilion size structure, the manager saying that he didn’t book the entertainment for the Whiskey A-Go-Go, but it was his understanding that they were all booked up. Glenn relating the bands situation at Webb about having a Saturday night free, the manager cordially mentioned that the country club formal ballroom occasionally engaged entertainment on a Saturday Nights. Their timing paid off, with the addition of the Midland Country Club Ballroom, Gary and Glen were successful in fulfilling their three night combination for the Big Springs area. A restful night in Midland, the Triumph preparing for the 10 hour return to Oklahoma City, the two occupants satisfied with their accomplishments. Gary concluding, if the Room shaking experience at the auto-court and the road crossing tarantula encounter was any indication of Texas, the age-old appellation “Wild West” was apropos. This entry was posted on November 24, 2016 at 7:23 pm and is filed under Uncategorized. You can follow any responses to this entry through the RSS 2.0 feed. You can leave a response, or trackback from your own site.